This Secret Diary has 384 pages, giving you a page for each day of the year (plus a few extras) to record your deepest thoughts. 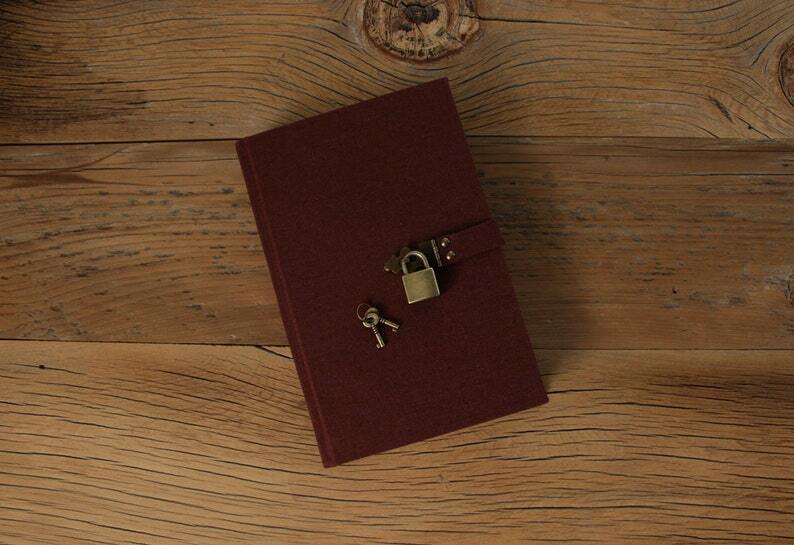 Your words will be safe with only the key to unlock them as you wish. The diary has a rounded spine and firm cover overlaid with linen and imported marbled endpapers. // This product is made-to-order and it may take 1-3 weeks to produce. This endpaper may not be available, consult us to see other options.